What do you let your kids eat? I asked my fellow mom-editors at EatingWell this question yesterday because I’m struggling with what to let my child eat. My son is just a year and a half old (so I’m still new to this mom thing). My husband and I have been pretty selective about what he eats—little added sugar and salt, few processed foods, lots of whole grains, fruits, beans and full-fat dairy—but at daycare they occasionally serve frozen popsicles (made with fruit juice followed closely by added sugars and high-fructose corn syrup). I’ve said no to those treats, so the teachers offer him popsicles of just frozen apple juice. (So nice of them!) But at his age, he’s old enough to understand that the other kids have something else—so he’s not eating the special pops. And I realized that by just saying no, he’s not learning about how even less-than-healthy foods can be enjoyed in moderation as part of an otherwise healthy diet. While that would be a solution (if I had the time), my co-workers have a different take. Nicci Micco, our deputy editor of nutrition, and Stacy Fraser, our Test Kitchen manager, both wonderful mothers of two whose opinions I trust, say they subscribe to the “When you’re in Rome” rule—pops at daycare are fine, but we don’t need to eat those treats at home. I asked celebrity chef Jamie Oliver, a father to three daughters under the age of 9, if there is a food he won’t feed his kids, when I interviewed him for our September/October issue of EatingWell Magazine. 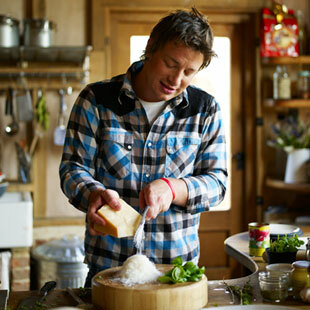 Read the full interview with Jamie Oliver here. What do you think—are there any foods you won’t let your kids eat?